2. Easy / fast wearing and release with the buck style strap. 6.various colors for every situation, daily wearing, travel, sports, business and so on. 7.Brown edge stain and track stitch ends show good workmanship. 3.What's the MOQ9 Generally speaking, the MOQ is 10 Set, and we also can provide you samples for quality inspection. 4.Do you charge for the samples9 According to our company policy, we just charge the samples shipping freight, products free . &hearts; Click Here into Our Homepage &hearts; &crarr; Send your Inquiry Details in the Below , Click " Sent " Now ! 3. Do send a message to me if you have any other questions. We can offer different new samples to customers every week. We have 2 handbag samples designers and 4 belt sample makers. Dongguan silicone rubber watchbands, watch straps custom service factory 1. Silicone watchband or straps customizable. 2. Silicone, rubber material straps OEM orders 3. below is a part of what we have made for clients. we understant each customer will have their own ideas or designs to make the unique watchband. 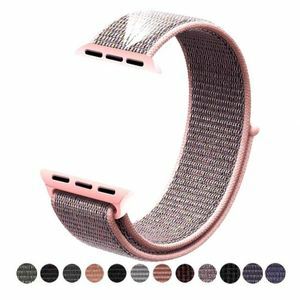 Alibaba.com offers 1,645 silicone rubber watchband products. About 93% of these are watch bands, 1% are wristwatches. A wide variety of silicone rubber watchband options are available to you, such as free samples, paid samples. There are 1,645 silicone rubber watchband suppliers, mainly located in Asia. The top supplying country is China (Mainland), which supply 100% of silicone rubber watchband respectively. Silicone rubber watchband products are most popular in North America, Western Europe, and Northern Europe. You can ensure product safety by selecting from certified suppliers, including 344 with ISO9001, 140 with Other, and 32 with ISO14001 certification.